When I think I came across every PEPLUM title in the known universe, I still find up to this day new titles of films I've never heard of or forgotten. 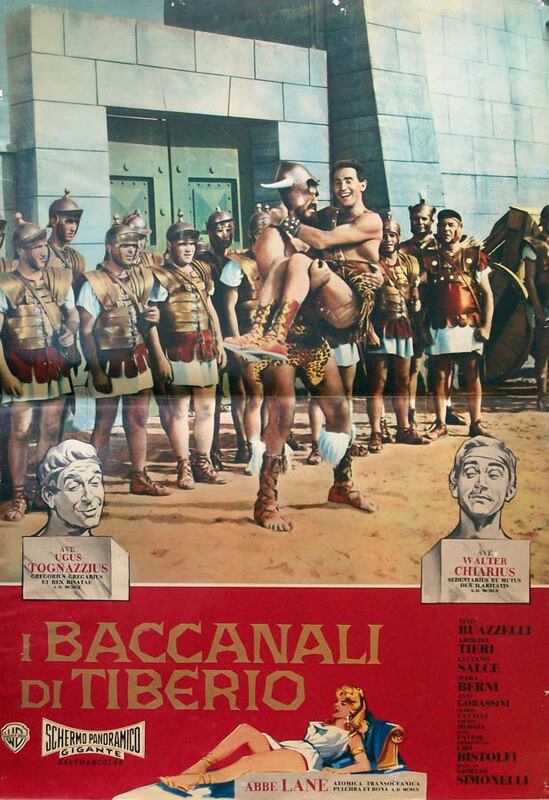 The English title for this film is TIBERIUS. The only recognizable names are the great Ugo Tagnazzi and Mara Berni. The director made a couple of PEP films including URSUS IN THE LAND OF FIRE, which I like. Obviously, it's a comedy. Filmed in "Schermo Panoramico Gigante." I don't remember this movie at all, but do you know of another PEPLUM called THE DESERT DESPERADOS starring Ruth Roman. This movie was made around 1958-1961 and got a lot of hype at the time of release. I saw this movie 2x the last being over 40 yrs. ago.